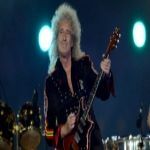 QueenOnline Message Board • View topic - What has been the best Q+AL Tour set list so far? What has been the best Q+AL Tour set list so far? What has been the best Queen + Adam Lambert Tour set list so far? So now there's been quite a few different(ish) set lists and some real gems that Brian & Roger haven't played Live in well over 30+ years on these Queen + Adam Lambert tours what do you guys think has been the best one so far? TRACKS PLAYED ONLY SCARCELY - These Are The Days Of Our Lives (first six gigs) The Show Must Go On (Rock In Rio) Bits in guitar solo ('Barcelona' in Barcelona, 'Eine kleine Nachtmusik' in Linz, 'Hubava si moya goro' in Sofia, 'O Sole mio' in Padua etc.). Last edited by J Starbuck88 on Wed Oct 12, 2016 9:48 pm, edited 1 time in total. Re: What has been the best Q+AL Tour set list so far? Thanks for your hard work on this. I'm afraid I couldn't choose. There are too many songs I love and not many at all, that I don't. It would be hard for me to pick just one. I found it very hard to choose between 2012 and the Aussie 2014 setlists. I'll be able to comment properly on the 2016 Asian setlist after Friday's gig in Thailand. For me, the biggest, most-noticeable difference is the opener. How the show kicks off is a big thing. I love love LOVED the 'Flash' / 'The Hero' opener at the couple of Hammersmith gigs I attended. It's just the perfect build-up and grand reveal. Just behind it is the 2014 'Procession' / 'Now I'm Here' opener. What makes this one so close is the use of lights and colour that brings this one so close to the 2012 opener (in my opinion, of course!). The way they're utilised and when they're utilised, creates so much excitement for the audience at the end of the 'Procession' bit where the band on-stage make their presence known ... and this is still a matter of maybe 20 seconds before the big curtain is yanked up and the audience can actually see Brian, Roger, Adam, ect! I'm sure being there as 'One Vision' starts as the opener would still be an awesome experience (I can't help but feel it was best left in 1986 though), and as for 'Seven Seas Of Rhye', I hope I'm wrong, but I see this as being the weaker opener of all the ones in recent memory. If not of all Queen / Queen+____ history. Bring back 'Flash'/'Hero' for Friday! !